On a busy weekend to conclude the BBL action for February, there were more top performances around the league. The Scorchers guard helped his side end their losing run with an efficient 16 points on 7 of 8 shooting along with nine assists in their 90-69 victory over Sheffield. Taylor makes his second appearance on the season after following on from his star showing on New Year’s Day for Surrey. 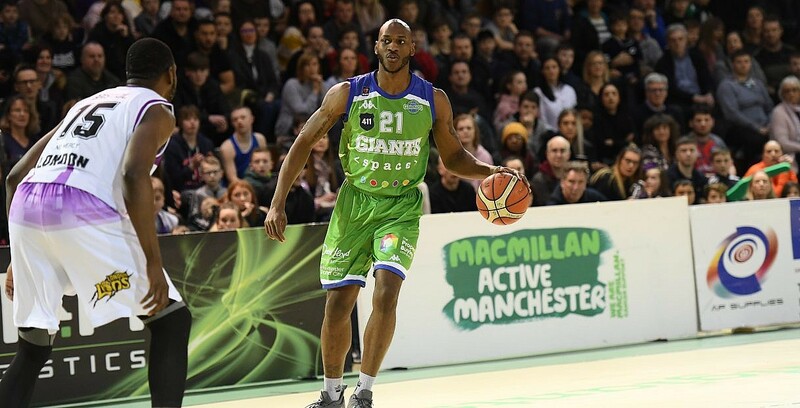 Tabb returns to the lineup for his fifth appearance on the season after a strong display in the Lions’ league victory on the road against Cheshire Phoenix. The high-flyer put up 28 points on 70% shooting and also claimed four steals in an impressive display at both ends of the floor along with five offensive rebounds. Freeman’s return to action sparked a triumphant return to winning ways for the Wolves as they picked up two wins on the weekend. The American contributed 20 points, eight rebounds, four assists and four steals to their 84-79 win against Surrey before posting a double-double with 25 points and 11 rebounds to lead his side to a league win on the road for the first time this season as they defeated Plymouth. Back-to-back appearances for Defoe after leading his side to a tough overtime win at home to Glasgow. Defoe tallied 26 points, including 12 of 13 from the line, and grabbed 12 boards along with four steals in a full 45-minute effort to help lead the Eagles to victory. Clayton starred in the Giants’ win at home to Newcastle on Sunday with a colossal 25 rebounds to go with 21 points. The American went 9 of 9 inside the arc and came up with 10 offensive boards in his overall haul to match his previous best from earlier in the season.